Made for modern doors - there are lots of ways to describe this traditional door knob – versatile, simply elegant, adaptable, and graceful. Perhaps that’s why this traditional door knob design has been popular since the late 1840s. This particular door knob measures 2 1/4 inches in diameter and it has been matched with a simple rectangular beveled back plate that measures 2 1/2 inch by 3 5/8 inch. There are two back plates that screw into each other after placing them on opposite sides of the door. The model shown has a brushed nickel finish and is also available in polished brass, antique brass, polished chrome and oil rubbed bronze. 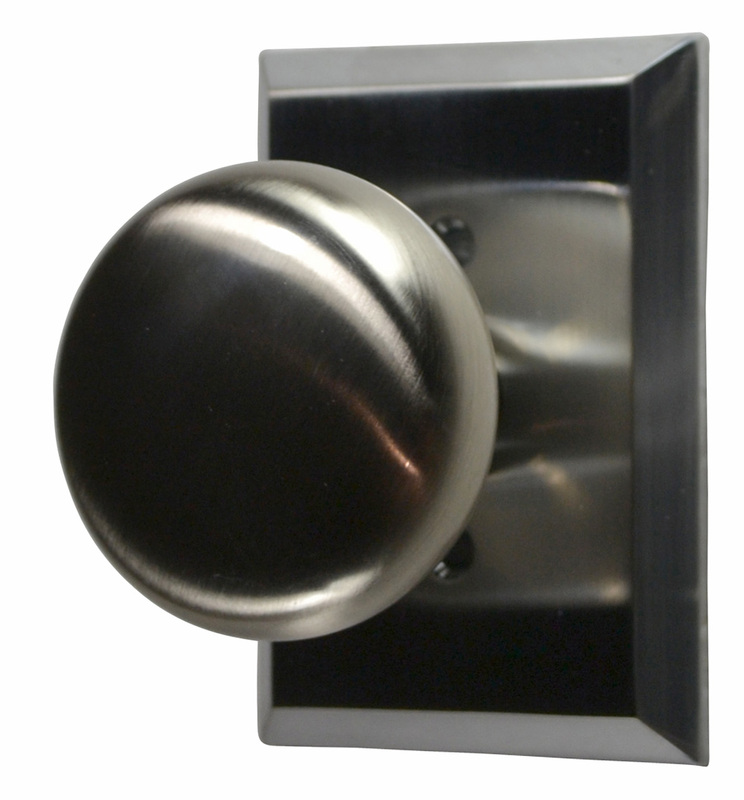 Choose from single sided knob (1 fixed knob), double sided dummy knob (2 fixed knobs), functional passage (non-locking) and functional privacy (locking) sets. Functional door knobs come with a standard 2 3/8 inch back set, or you can request a 2 3/4 inch back set at no extra charge.